Rosybee Plants (Rosi Rollings) who in the past has contributed to displays at BBKA shows, has produced her first 5 year study of which plants best suit which pollinator. She has looked at honeybees, bumble bees and solitary bees and come up with a list of the 30 best plants for all of them. Rosi says the primary finding is that the number of bees each plant attracts varies hugely. Some attract surprisingly few, even supposedly ‘bee-friendly’ plants. This variation is significant for anyone wanting to maximize the amount of bee-food any area of land can provide. Weather has a major impact on both bees and plants causing them to thrive much more in some years than others. Yet, both are also very resilient and how attractive a plant is to bees should not be judged on a single year let alone a single observation. 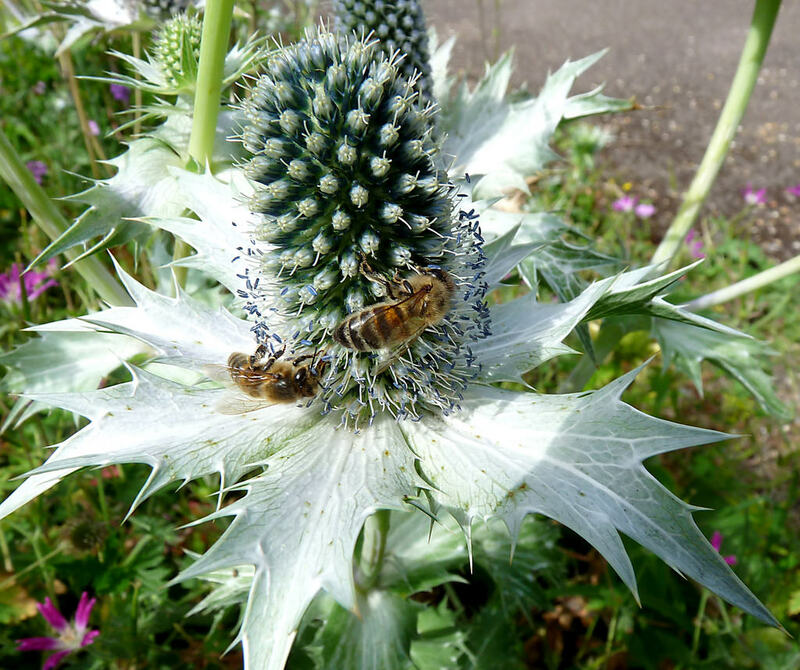 Both native and non-native plants are equally attractive to bees.